Awkwafina is owning 2018. The star went from viral internet rapper to bonafide actress and performer, starring in some of the year's biggest and most buzzed about films. From 'Crazy Rich Asians' to ' Ocean's 8' and more, Awkwafina is blowing audiences away. Here are a few facts you probably never knew about the supremely talented artist. 1. 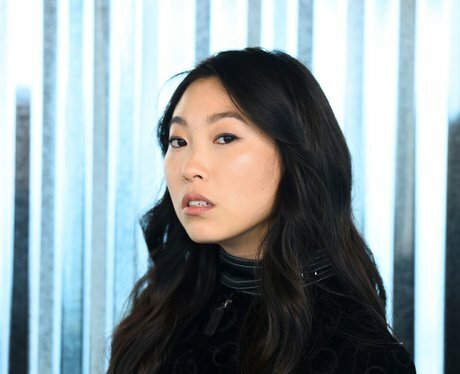 How old is Awkwafina? 2. How tall is Awkwafina? 3. What is Awkwafina's real name? 4. How did Awkwafina choose her stage name? 5. What is Awkwafina's ethnicity? Awkwafina is Asian American. Her father is Chinese American and her mother, who died when Awkwafina was 4, was from South Korea. 10. Awkwafina also appeared in the Netflix stoner comedy "Dude"
12. What is Awkwafina's Snapchat and Instagram? Awkwafina's snapchat is @YUNFUNYON. Awkwafina's Instagram is @awkwafina. Awkwafina's Twitter is also @awkwafina.